With Halloween fast approaching all you trick or treaters are going to be faced with the question, what am I going to do with all my Halloween candy? Dr. Boral and the rest of our staff want to you to give us the opportunity to BUY your candy back! In the spirit of Good Dental Hygiene and Overall Health we want to buy your Halloween candy, and are offering $1 per pound up for up to 5 pounds of candy per trick or treater. You might be wondering, what is Dr. Boral going to do with all of this candy? Dr. Boral and the team plan to donate all of the candy they are able to buy back to Operation Gratitude. Operation Gratitude annually sends 150,000+ care packages filled with snacks, entertainment, hygiene and hand-made items, plus personal letters of appreciation, to New Recruits, Veterans, First Responders, Wounded Warriors, Care Givers and to individually named U.S. Service Members deployed overseas. If you would like to be a part of this amazing cause, while also promoting a healthy smile and body, bring your candy to our office on November 3rd and 4th between 9am and 6 pm or November 5th and 6th between 8am and 5pm. 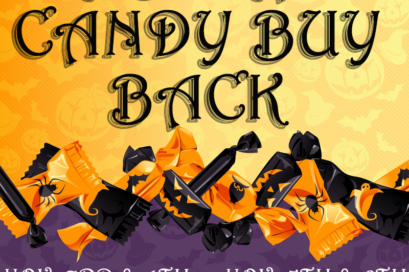 We will be weighing candy and paying out to all the trick or treaters who bring their candy in! Dr. Boral and our team are very excited to be a part of this cause and we hope every turns out with their candy to support our deployed troops overseas.